Being confronted with a shattered windscreen at your VW Caddy is always annoying. Moreover, contrary to what many people suspect, such damage cannot be caused solely by an accident. What about vandalism? Whatever the cause of the damaged windscreen of your VW Caddy, in both cases you will want to find the most interesting solution in terms of price and quality. We will be happy to tell you how a windscreen replacement of a VW Caddy can be carried out without you having to take into account sky-high costs. The VW Caddy is a company car with a very considerable history. It first appeared on the European market in 1983 and was immediately characterised by a very American design. It was also available in several versions. This made it possible to choose between a pickup or a closed van. The second VW Caddy was born in 1995. This was a closed van based on the reliable 6KV platform. This platform was not only used for the VW Caddy, but was also found in the Volkswagen Polo Classic, for example. The third generation of the VW Caddy finally appeared in the year 2004 and was largely based on the VW Touran in terms of appearance. The fourth and especially last generation at the time of writing was launched in 2010. It concerned the VW Caddy Combi that was introduced in several countries as the VW Caddy Life. How can glass damage to your VW Caddy occur? Of course, you will only want a windscreen replacement of your VW Caddy when you have no other choice. Unfortunately, damage to a car's windscreen is quite common today. All kinds of causes can therefore be the cause of this damage. Take, for example, your VW Caddy windscreen. This can cause a crack, for example, if a bird or a swan in particular pops against the windscreen at high speed. Another cause that can lead to a windscreen replacement is vandalism or an accident. In both cases it is possible that you will have to deal with a completely crushed windscreen. Driving even further with your car is no longer an option, so you will even have to let an expert visit you on location. 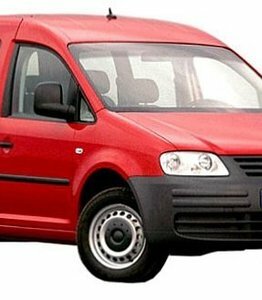 When is the replacement of your VW Caddy windscreen mandatory? As you have already read, the VW Caddy was initially a company car. With the introduction of the third generation of this type, however, a passenger car version also appeared. This immediately gave a strong boost to the popularity of this car. This increased popularity also had a disadvantage. Indeed, more and more reports were made of crushed windscreens and windscreens related to other damage. However, that is quite normal. The more cars of a certain type drive around, the more frequent damage to one of the car windows will be reported. This is of course the same for all brands and types and says absolutely nothing about the quality the VW Caddy and the available car glass have, on the contrary. However, before you start to make car windscreen replacement costs, it is always important to remember when you are now obliged to have the damaged windscreen replaced. Our competitors will be happy to tell you that replacing a damaged VW Caddy windscreen is always mandatory in order to avoid disapproval of the APK, but that is absolutely not correct. A rejection in the event of damage to the windscreen therefore only threatens at the moment that the driver of the car is hindered by it. A crack straight into the driver's field of view can cause a very dangerous situation to arise from a single reflection. The windscreen replacement of your VW Caddy is indeed mandatory in this situation. Is the single crack located out of the driver's view? Then you can postpone replacing it for a while, although that is absolutely not recommended. How can you reduce the cost of a new car window for your VW Caddy? Many people are afraid of the price of a new VW Caddy windscreen. This is logical, because an original windscreen is known to have a very strong price tag attached to it. Fortunately, things can be done differently. The cost of a new windscreen for a VW Caddy can be significantly reduced by opting for after market car window. Such automotive glass has exactly the same quality compared to an original car, but with the only difference that it does not have a brand logo. Just this small visual difference ensures that you can buy after market automotive glass for your VW Caddy at a price that you probably never dared to keep possible. You are always assured of a truly qualitative end result thanks to the excellent expertise and experience of our certified partners. The damaged windscreen replacement of your VW Caddy can not only be done at one of the different service points, but also on location. This is a perfect solution for people who are dealing with a shattered windscreen. If you are covered by comprehensive insurance or a third-party, glass, fire and theft insurance, you can also have your own risk of up to 150 euros cancelled by our partners. This way it is possible to save a nice extra amount.